‘Labor’s health spokesman Roger Cook says the family of Saba Button, who suffered serious brain and organ damage from the vaccine, have been treated badly by Premier Colin Barnett’s government. He said the Government’s disinterest forced the Button family to sue for compensation to provide for the continuing care of their daughter. “This is a tragic set of circumstances and the family should not be left feeling isolated and abandoned,” Mr Cook said. NOTE: The recent trend to bypass Class Action suits against Vaccine Manufacturers & Gov’t Health Dep’ts, via a no-fault insurance system in Vaccine Court (designed to ensure them immunity from prosecution while securing Federally funded Vaccine contracts), is being challenged here. By taking on the Gov’t directly, pressure has been placed squarely on the Judge, in this case, to punish those in power responsible for these crimes, while restoring a modicum of dignity back to this child & family. THE REAL REASON SO MANY YOUNG CHILDREN ARE BEING ADVERSELY AFFECTED BY AUSTRALIA’S 2010 FLU SHOT COCKTAIL (WHICH NOW INCLUDES THE PANVAX VACCINE)? CONTENTS: A STAGGERING 50 MICROGRAMS OF MERCURY IN THE SHOT (MOST CURRENT MULTI-DOSE VACCINES AVG 25), H1N1 SUBUNITS (LIVE VIRUS SLIGHTLY MODIFIED WITH DETERGENT), NEOMYCIN (HAZARDOUS TO ALL PREGNANT WOMEN) & POLYMYXIN (2 ANTIBIOTICS ASSOCIATED WITH KIDNEY FAILURE), BETA-PROPLOLACTONE (CARCINOGEN). 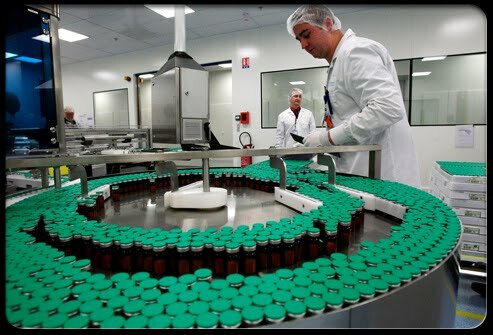 The Canadian federal gov’t has announced a new 10-year pandemic flu vaccine contract with GlaxoSmithKline, valued at more than $425-million (in addition to a 3 yr $33-million contract to Sanofi Pasteur Ltd & a $50-million contact to Novartis, a total investment of $500 million+). The contract is intended to ensure a secure supply of vaccine for Canadians in the event of “a future influenza pandemic”. 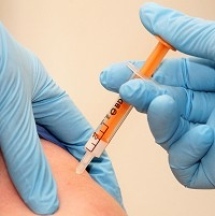 The Chicken Pox vaccine is the primary cause of shingles surfacing later in life; as the virus becomes embedded in the organs of children upon receiving the shot. The only solution? Ban the shot entirely. Our human body is designed to overcome this condition naturally (as with the majority of diseases, bacterium & viruses it encounters over time throughout the environment); there-upon building up a long-term, post-generational natural resistance. ‘Four infants died allegedly after being administered a vaccine for measles at a government hospital in Adipur town (Gujarat, India) on Wednesday, district officials said. The incident took place during ‘Mamta Day’, organised by the district health department where children and pregnant women are administered vaccines. ‘Chief Minister Shri Narendra Modi has expressed deep grief over the death of children that happened due to measles vaccine at Rambaug hospital of Adipur in Kutch. It is very painful incident and state government, considering it a very serious one, has given immediate orders for a high level probe into the matter, he said. 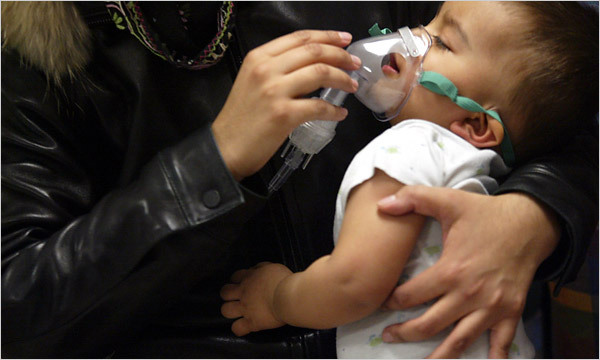 ‘The researchers draw a number of parallels between the H1N1 and H2N2 viruses. 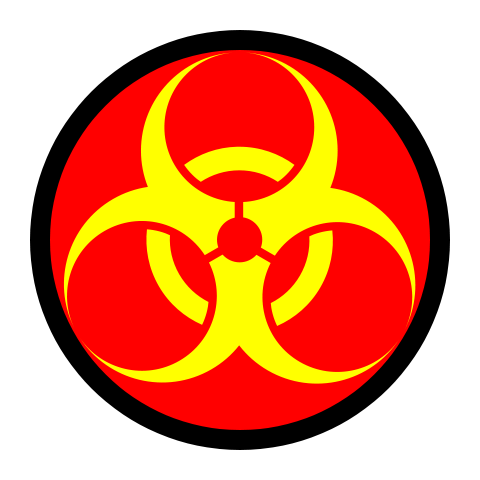 For example, they have both caused pandemics: from 1957 to 1968, an H2N2 strain caused 1–4 million deaths worldwide. Like the 1918 strain, the H2N2 virus has not circulated in humans for several decades but continues to do so among birds and pigs. * Manufacture the vaccine licensed in 1957 and immunise enough of the world’s population to provide “herd immunity” to the rest (i.e. vaccinate a large enough proportion of people so that the virus cannot easily spread to non-vaccinated individuals). * Stockpile the vaccine so supplies are ready in the event of an outbreak (which they point out would be more expensive and less effective than routine vaccination). * Make “master lots” of H2N2 vaccine and increase production as soon as signs of an outbreak occur (they argue this would be cheaper but less effective than either of the above methods). 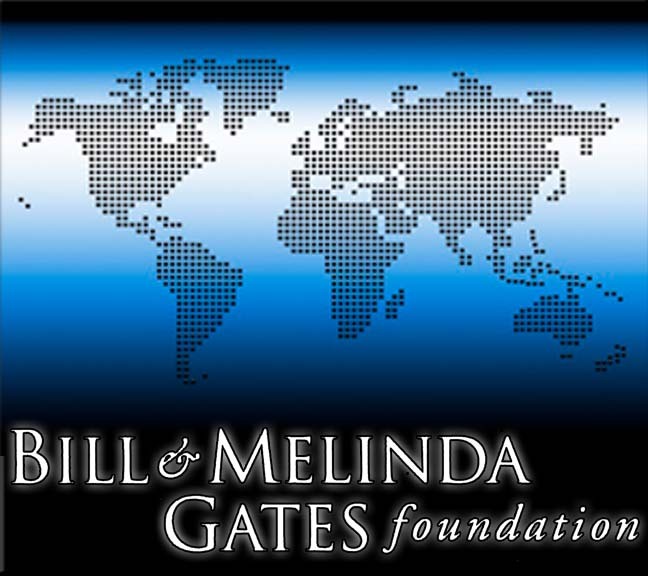 Note: The Rockefeller Foundation recently published “Scenarios for the Future of Technology and International Development’; an in depth examination of society under various degrees/types of dictatorial ‘governance’ – the implications that, given a total societal collapse, humans would willingly relinquish their already limited freedoms in exchange for manageable order; a grave reminder of how the so called ‘useless eaters’ or ‘bottom feeders’ are perceived by the elites, as essentially passive & malleable, subject to conditioning on a flowchart. The Rockefeller vision, a dystopic clinical analysis of human behavior in response to a major pandemic leaves little doubt as to the ultimate purpose behind the veil of misguided over-reaching philanthropy. 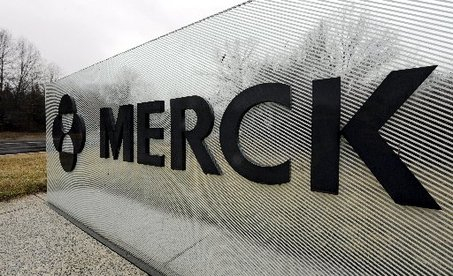 ‘The world’s biggest pharmaceutical company hired investigators to unearth evidence of corruption against the Nigerian attorney general in order to persuade him to drop legal action over a controversial drug trial involving children with meningitis, according to a leaked US embassy cable. Pfizer was sued by the Nigerian state and federal authorities, who claimed that children were harmed by a new antibiotic, Trovan, during the trial, which took place in the middle of a meningitis epidemic of unprecedented scale in Kano in the north of Nigeria in 1996. Last year, the company came to a tentative settlement with the Kano state government which was to cost it $75m. But the cable suggests that the US drug giant did not want to pay out to settle the two cases – one civil and one criminal – brought by the Nigerian federal government. ‘U.S. drugmaker Pfizer (PFE.N) hired investigators to find evidence of corruption against Nigeria’s attorney general to convince him to drop legal action against the company over a drug trial involving children, the Guardian newspaper reported, citing U.S. diplomatic cables made public by WikiLeaks. 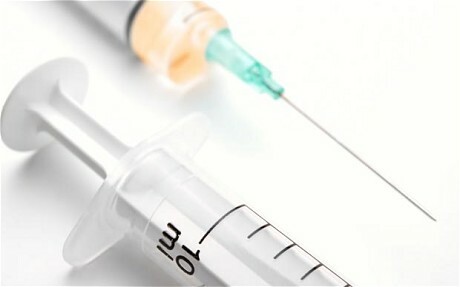 Pfizer-Wyeth’s Pneumococcal (13 strain) Polysaccharide Conjugate Vaccine, ‘Prevenar’, responsible for the recent deaths of 4 infants in Japan (between March 2 & 4), 3 within 24 hrs of being administered the shot, is backed by “a 10-year Provisional Supply Agreement under the terms of the Advance Market Commitment (a Bill Gates Foundation/World Bank/multi-Government funded venture). Pfizer made $68 billion in “vaccine transaction” profits/2009. 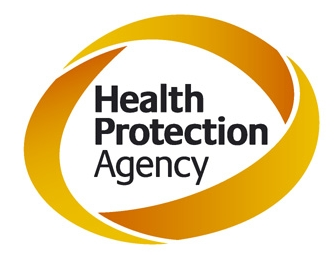 ‘UK’s New Labour Government appears to have placed control of UK vaccination programmes from 1 April 2009 in practical effect into the hands of the drug industry and introduced what is potentially a compulsory vaccination law without Parliamentary debate under The Health Protection (Vaccination) Regulations 2009. Giving the JCVI control over vaccination policy appears little different to giving control directly to the drug industry because of a closely similar approach and in some cases interests of one too many JCVI members. 4. The 1999 statement made by the PHS and AAP about the urgency of removing Thimerosal from vaccines is still posted on the website of the Centers for Disease Control (CDC) over a decade later. 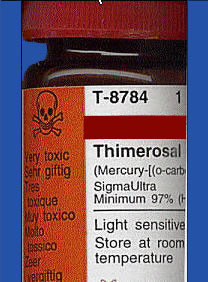 Yet, Thimerosal is now added to most of the flu shots given to pregnant women, children, elderly. US Dep’t of Health & Human Services – National Vaccine Injury Compensation Program official tally recorded between 1988-2011: Petitioners’ Awarded $2,057,127,246.24 (2,618 cases). 13,592 vaccine related injury/death claims filed (incuding 1,047 deaths reported). Total of 5,636 cases of vaccine induced autism reported, 4,463 similar cases dismissed based on ‘Insufficient information submitted to make a determination’. Note: Studies conducted by the CDC have been shown to miss from 10% to 90% of the actual cases because of under-reporting. HRSA figures, which relys on CDC stats, are therefore similarly skewed. RUSSELL BRUESEWITZ, ET AL., PETITIONERS v.WYETH LLC, FKA WYETH, INC., FKA WYETH LABORATORIES, ET AL. ON WRIT OF CERTIORARI TO THE UNITED STATES COURT OF APPEALS FOR THE THIRD CIRCUIT [February 22, 2011] JUSTICE SCALIA delivered the opinion of the Court. 1) Based on Hannah Bruesewitz’s lawsuit in which the parents filed a vaccine-injury petition in the Court of Federal Claims (re. Wyeth DPT shot), a precedent/statute was set where-in you can’t blame the vaccine itself for injury incurred. They used terminology that backfired on them (“unavoidably unsafe products”); muddying the contentious line between “compensation” & “tort” law policy. “Section 300aa–22(b)(1)’s text suggests that a vaccine’s design is not open to question in a tort action. If a manufacturer could be held liable for failure to use a different design, the “even though” clause would do no work. 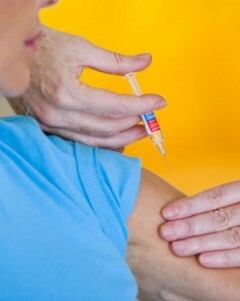 A vaccine side effect could always have been avoidable by use of a different vaccine not containing the harmful element. The language of the provision thus suggests the design is not subject to question in a tort action. What the statute establishes as a complete defense must be unavoidability (given safe manufacture and warning) with respect to the particular design. This conclusion is supported by the fact that, although products-liability law establishes three grounds for liability—defective manufacture, inadequate directions or warnings, and defective design—the Act mentions only manufacture and warnings. It thus seems that the Act’s failure to mention design-defect liability is “by deliberate choice, not inadvertence.” Barnhart v. Peabody Coal Co., 537 U. S. 149, 168. Pp. 7–8. “The structure of the NCVIA and of vaccine regulation in general reinforces what §300aa–22(b)(1)’s text suggests. Design defects do not merit a single mention in the Act or in Food and Drug Administration regulations that pervasively regulate the drug manufacturing process. This lack of guidance for design defects, combined with the extensive guidance for the two liability grounds specifically mentioned in the Act, strongly suggests that design defects were not mentioned because they are not a basis for liability. The Act’s mandates lead to the same conclusion. It provides for federal agency improvement of vaccine design and for federally prescribed compensation,which are other means for achieving the two beneficial effects of design-defect torts—prompting the development of improved designs, and providing compensation for inflicted injuries. The Act’s structural quid pro quo also leads to the same conclusion. The vaccine manufacturers fund an informal, efficient compensation program for vaccine injuries in exchange for avoiding costly tort litigation and the occasional disproportionate jury verdict. Taxing their product to fund the compensation program, while leaving their liability for design defect virtually unaltered, would hardly coax them back into the market. Design defects, in contrast, do not merit a single mention in the NCVIA or the FDA’s regulations. Indeed, the FDA has never even spelled out in regulations the criteria it uses to decide whether a vaccine is safe and effective for its intended use. And the decision is surely not an easy one. Drug manufacturers often could trade a little less efficacy for a little more safety, but the safest design is not always the best one. Striking the right balance between safety and efficacy is especially difficult with respect to vaccines, which affect public as well as individual health.Yet the Act, which in every other respect micromanages manufacturers, is silent on how to evaluate competing designs. Are manufacturers liable only for failing to employ an alternative design that the FDA has approved for distribution (an approval it takes years to obtain)? Or does it suffice that a vaccine design has been approved in other countries? Or could there be liability for failure to use a design that exists only in a lab? Neither the Act nor the FDA regulations provide an answer, leaving the uni-verse of alternative designs to be limited only by an expert’s imagination. The mandates contained in the Act lead to the same conclusion. Design-defect torts, broadly speaking, have two beneficial effects: (1) prompting the development of improved designs, and (2) providing compensation for inflicted injuries. The NCVIA provides other means for achieving both effects. We have already discussed the Act’s generous compensation scheme. And the Act provides many means of improving vaccine design. 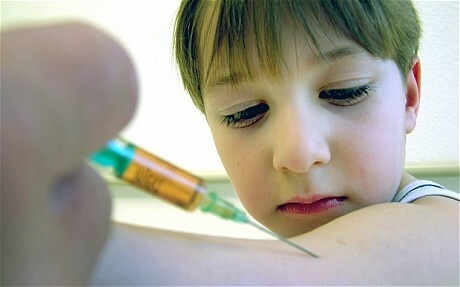 It directs the Secretary of Health and Human Services to promote “the development of childhood vaccines that result in fewer and less serious adverse reactions.” It establishes a National Vaccine Program, whose Director is “to achieve optimal prevention of human infectious diseases and to achieve optimal prevention against adverse reactions.” The Program is to set priorities for federal vaccine re-search, and to coordinate federal vaccine safety and efficacy testing. The Act requires vaccine manufacturers and health-care providers to report adverse side effects, and provides for monitoring of vaccine safety through a collaboration with eight managed-care organizations. And of course whenever the FDA concludes that a vaccine is unsafe, it may revoke the license. These provisions for federal agency improvement of vaccine design, and for federally prescribed compensation, once again suggest that §300aa–22(b)(1)’s silence regarding design-defect liability was not inadvertent. It instead reflects a sensible choice to leave complex epidemiological judgments about vaccine design to the FDA and the National Vaccine Program rather than juries. And finally, the Act’s structural quid pro quo leads to the same conclusion: The vaccine manufacturers fund from their sales an informal, efficient compensation pro-gram for vaccine injuries; in exchange they avoid costly tort litigation and the occasional disproportionate jury verdict. But design-defect allegations are the most speculative and difficult type of products liability claim to litigate. Taxing vaccine manufacturers’ product to fund the compensation program, while leaving their liability for design defect virtually unaltered, would hardly coax manufacturers back into the market. 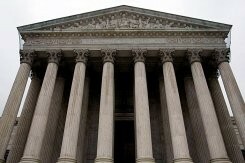 ‘The Supreme Court ruled Tuesday that a federal law bars lawsuits against drug makers over serious side effects from childhood vaccines. By a 6-2 vote Tuesday, the court ruled against the parents of a child who sued the drug maker Wyeth in Pennsylvania state court for the health problems they say their daughter, now 19, suffered from a vaccine she received in infancy. 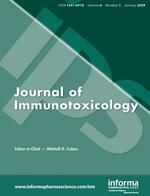 ‘The safety of vaccine in a multi-dose vial is primarily dependent on: · risk of contamination with a pathogenic organism; and · bacteriostatic or virucidal effect of preservatives in the vial. The risk of contamination is higher in a multi-dose vial than in a single-dose vial because vaccine is repeatedly exposed – every time a dose is withdrawn. ’72 Indiana children have been banned from attending school, according to State code, for missing “all of their immunization shots”. 31 high schoolers from Harrison and 41 from McCutcheon aren’t allowed to go inside their high schools until they get all of their immunization shots. These students aren’t up to date with their vaccines. NOTE: Re. Medical exemptions – Make sure your prescribing doctor doesn’t use the word “autism” in the exemption whatsoever, otherwise they deny it. Also the school expects a new letter waver to be submitted yearly regardless of the fact that the doctor doesn’t necessarily put an expiration date on it. During the trial Dr Gilbert vaccinated 11 healthy volunteers and then infected them, along with 11 non-vaccinated volunteers. She monitored the volunteers’ symptoms twice a day, including runny noses, coughs and sore throats, and weighed tissues to calculate how much mucus they produced. 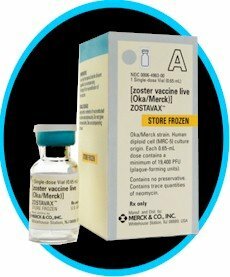 The vaccine “ostensibly” boosts the number of the body’s T-cells, which are important to the body’s immune response, identifying and destroying cells infected by a virus. The results, though only from a very small sample, showed the vaccine worked as planned with the vaccinated volunteers less likely to get flu and also showing a boost in T-cells. Note: Over 200 influenza viruses are circulating each year. Nature is highly unpredictable; it cannot be isolated in this respect. During the winter months the T Lymphocytes in your lungs (white blood cells vital to natural immunity) are starved of Vitamin D3 (steroid hormone derived from sunlight); thus have difficulty processing Vitamins C & E. A Universal Flu Vaccine, in addition to disengaging the T Lymphocytes in your lungs, will unleash a new cats cradle of mutagenic viruses; which in turn will spawn another wave of counter shots. Excipients such as Thimerosal, toxic detergents & antibiotics, further undermine the body’s ability to fight off infection by neutralizing Thyroid function (a process vital to regulating your overall metabolism – limits over-abundance of free radicals with anti-oxidants). 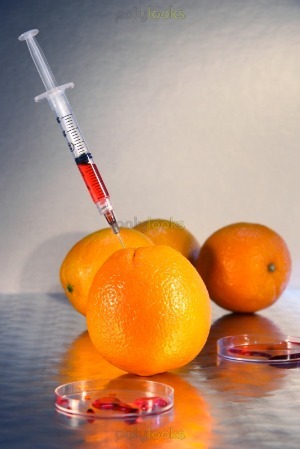 As a safe alternative to the flu shot, take Liquid Vitamin D3 (5-10,000 IU/per day); in addition to Wild Salmon/Krill Oil (source of Vitamin D3 & Omega 3 fatty acids), organic oranges (or high quality Vitamin C supplement), Kale & Cilantro (chelates heavy metal toxicity – loaded with anti-oxidants), organic Apple Cider Vinegar (one shot semi-daily – helps maintain the proper alkaline over acidic levels in the body) plus a teaspoon of Sodium Bicarbonate (organic Baking Soda – cancer fighter), taken semi-regularly. This regime should be balanced with a healthy reduction/elimination of the following: gluten, casein, sugars, iodized salts, poly-saturated fats, all genetically modified food/produce/liquids. Join the brigade of parents fed up with Government/Industry lies & deception! Autism Campaigners around the world are planning an Autism Sunday Twitter Storm to mark the international event on Sunday 13th February. People have been asked to tweet and re-tweet on autism, on the serious issues on autism or just simply celebrate the lives of all people with autism across the globe. There are 67 million people with autism. Note: This explains the unusual spike in cases of H1N1 infection this season in the UK.